This is a video about a Top Bar Hive that has turned aggressive. It is moved to a remote location and the honey and brood removed and the hive prepared to be converted to a Langstroth Hive and given a new queen. This is a continution of Part 1. We cannot find the queen so a queen excluder is attached to the bottom of the super, elevated and the bees shaken in front of the hive. We are preparing it to receive a new queen. This is a continution of Part 1 & 2. We have prepared the hive it to receive a new queen. A queen is not available so we have taken a frame of eggs and young larva from a 2012 Carniolan Breeder queen and will insert it in the brood nest and then give the hive a 50/50 sugar water to help it get started. Our honey is produced in various yards throughout NM and Colorado. We will have 100 Triple deep hives ($450.00) with bees available spring 2019. Hives are on screened bottom board and are 10 frame equipment with 8 frames in the first two supers and a division board feeder in each super. The third super is a 10 frame super with plasticell foundation. The third super you will need to place on your hive after you set it up. Hives are strong and have a fall 2018 queen. Hives will need this immediate super for honey production and or swarm prevention. These hives will be available for pickup after April 15th in Mesa, AZ and after May 1, 2019 in Belen, NM. This is a limited time promotion. This offer ends when we have sold out. Payment in full with order. We accept credit cards, cash and checks/money orders. These hives are ready to make honey as soon as you get them. Take advantage of the spring honey flow then consider splitting them into 2 hives or nucs after the flow. We make well over 100 pounds of spring honey with these double deeps then split them in early summer. The equipment alone is worth over $260.00 without the bees, brood, honey, pollen and drawn comb. See Value of a Double Deep hive versus a single, nuc or package. Our Single Hive with Bees ($350) is an 8 or 10 frame hive body with a fall queen, Frames are a combination of drawn comb with bees, brood, honey (nectar in various stages of ripening), pollen and frames with foundation. This single hive has a temporary top and bottom for transport only. It is designed for the beekeeper who has some beekeeping experience. For beginners we recommend the Nuc in a hive. When our bees are finished pollinating almonds in CA in mid March we move them into orange groves. We place a queen excluder between the two hive bodies. After one week we look for the hive body that the queen is laying in. We remove this hive body, put on a temporary transportation top and bottom and deliver these hives to select locations across the southwest. You can meet the truck at the location or if you are not able to pickup on that date a caretaker will hold the hive for you. We are making special arrangements to have a caretaker at each location. These queens are a fall 2018 queen. It is difficult to get current season queens before May 1st. All queens have bee committed for years by the commercial queen breeders to their package bee production and to major beekeepers. We have had problems in the past getting queens intime to prevent our hives from swarming. By dividing this way we can get deliveries out early in the season. Our queens are installed in the fall which is best for the development of the hive for both fall, winter and spring. Beekeepers should requeen in late summer and fall every year to prevent early spring swarming. We have taken most of the risk out of developing a hive of bees for you and have insured that the queen is a good laying queen with a good brood pattern. When installing package bees there is a risk that the bees will act like a swarm and leave the hive after a few days. With the presence of open brood the bees will not leave. You do not need to transfer these bees into any other equipment. This hive will expand on its' own with proper food resources. These hives are delivered with a special top and bottom board for easy transportation with out endangering the hive of bees. When you reach the location where you are setting up your bees just remove these two covers and place on your bottom board and put your top cover on the hive. The frames in this hive have been arranged for optimum hive expansion. NOTE: You will need a second and third super as this is an actively growing hive (depending on food resources and hive management). 4 Frame Nucs ($250) are placed in a 4 frame nucleus hive and includes a queen, 4 frames which are a combination of drawn comb with bees, brood, honey (nectar in various stages of ripening), and pollen. We have taken the risk out of installing package bees for you in a nuc and have insured that the queen is a good laying queen with a good brood pattern. When installing package bees there is a risk that the bees will act like a swarm and leave the hive after a few days. With the presence of open brood the bees will not leave. All you will need to do is transfer the contents of the nuc to you your Langstroth equipment. You may also keep your bees in the nuc for several weeks before transferring. Our Nuc in a Hive with Bees ($300) is an 8 or 10 frame hive body with a new spring queen, 4 frames of bees which are a combination of drawn comb with bees, brood, honey (nectar in various stages of ripening), and pollen. The hive body is then filled with Pierco frames. This hive is transported with a screened bottom board with an entrance that is easy to open and close for transport. The screened bottom can be left on all year and opened and closed or reduced with the seasons. The top is a migratory top. This set up makes it easy to transport your bees in any vehicle without fear of bees coming out of the hive. We have taken the risk out of installing package bees for you in a beehive and have insured that the queen is a good laying queen with a good brood pattern. When installing package bees there is a risk that the bees will act like a swarm and leave the hive after a few days. With the presence of open brood the bees will not leave. All you will need to do is set this hive in a new home. 3 # Packages ($170) are shaken from our hives and given a 2019 Italian Queen. A 3 pound package will have about 3.3 pounds of bees when they are first placed into the cage, but due to shrinkage from honey consumption they will be about 3 pounds when you receive them. We deliver packages to a common meeting place. We can also arrange for you to pick up packages from one of our bee yards. Packages are not shipped via UPS or USPS because of problems with losses. We may be able to make special delivery arrangements depending on our delivery routes. If you are new to beekeeping we would recommend you purchase a 4 frame nuc (listed above). See the reasons why a beginner should consider a nuc over package bees. Pricing is with cage exchange. If you do not have a cage to exchange please add $7.00 for the cage. We refund your deposit upon return of cages in good condition. Hives can be picked up at our yards in Belen, NM and Mesa, AZ. We will have a truck going along I-10, I-40 and I-25 if you want to meet us. 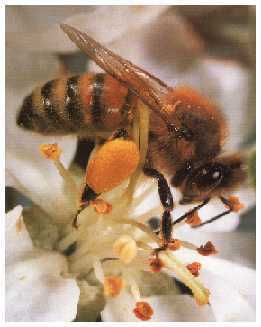 Availability of BEES are all dependent on WEATHER and other factors which are out of our control. Note: Prices are subject to change: Price increases from package bee suppliers for 2019 have increased by 10%. The prices list above are our new 2019 prices and we will honor the above prices for orders placed and paid for before any new increases. Prices have increased from suppliers at a rate of 8-10% per year over the last 10 years. We do not offer refunds on orders of package bees, nucs or nucs in a hive . If you are not able to pick up your bees or accept delivery we will continue to hold the bees for you in a nuc or a single hive until a time when you can take receipt of them. If you are transferring your order to another person please send us a notice of transfer. Remember that PACKAGED BEES, QUEENS, Nucs and Hives is dependent on WEATHER and other factors which are out of our control. Spring, Summer and fall 2019: honey and bee pollen by zip code in Albuquerque and surrounding area.